Posted 8:43 pm by McAlinden Research Partners & filed under Daily Intelligence Briefing. Much of the hype around cannabis stocks is focused on North American markets. This makes sense since most of the hottest pot stocks are Canadian, with a few Americans sprinkled in. Canada’s market is relatively small, and cannabis and its many of its derivatives remain under heavy federal scrutiny in the US. However, many major economies in the European market are moving forward with easing if rules on medicinal and recreational cannabis at an accelerating rate. North American pot producers are now starting to take notice. Stocks and bonds have struggled over the last year as yields have risen strongly, but MRP believes this is only the beginning. Further tightening of monetary policy is expected to continue delivering upward pressure on yields as slowing earnings and GDP growth begin to bite. Home to more than 740 million people — a population more than double that of the US and Canada combined — Europe is set to become the world’s largest legal weed market over the next five years. Over the last 12 months, the European pot industry has grown more than it has in the last six years. Six countries have announced new, positive legislation, and over €500 million has been invested in European cannabis businesses. At the recent World Economic Forum in Davos, Switzerland, legal cannabis expert Prohibition Partners released a new report which states that steeply rising patient numbers and legislative progress have created a “transformative” backdrop for medicinal cannabis use in Europe. According to its findings, Europe’s cannabis market is estimated to be worth up to €123 billion by 2028. Of that total market, the market for medicinal marijuana specifically could reach €58 billion during that time. Throughout 2018, a crop of European countries introduced, reviewed or announced future legislation to advance the legal weed movement, and there are now 14 European countries where prescription pot is legal. 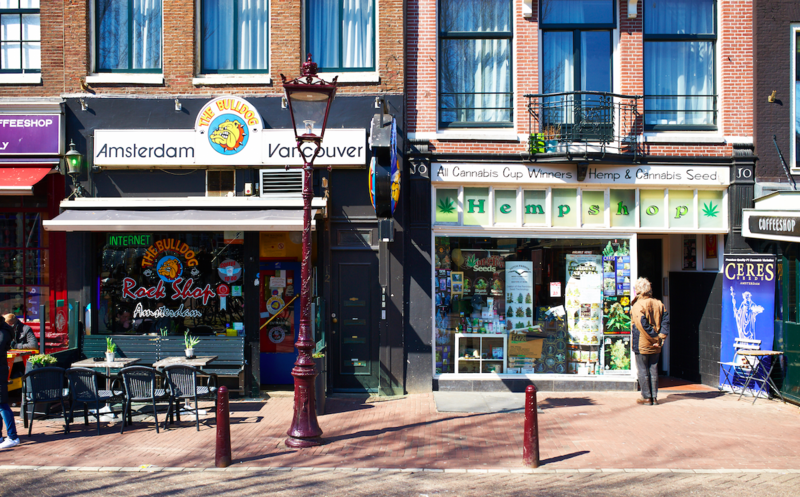 The UK, Portugal and Malta have legalized medical cannabis products, and the Netherlands, Denmark and Germany have either issued cultivation licenses or plan to introduce a tender for global cannabis producers. Even conservative governments in France and Ireland have proposed new cannabis bills or committees to review the legal status of medical marijuana. Luxembourg has even laid out plans to be the first country in Europe to permit and regulate adult-use marijuana for residents of the country. Although many countries have maintained legal status for medical marijuana for years, the continent does not yet have much infrastructure to support the expected explosion of the market over the next few years. Germany, for instance, has relied on imports from the Netherlands and Canada since it legalized medical marijuana in March 2017. Considering Germany is the largest economy in Europe, a number of pot producers from across the pond have already begun testing the waters. This past November, Canadian producer Aphria announced their acquisition of CC Pharma, one of the largest medical distributors in Germany, enabling consistent delivery to German patients. One of Aphria’s competitors, Beleave, made their first move into the German market a month earlier when they announced their supply agreement with Canymed. Canymed will be importing 5,000 kilograms per year from Beleave at nearly $8 per gram, a price point that is two times more than current Canadian prices. However, Germany has recently decided to begin shifting away from imported crop and focusing on a much more homegrown supply. The country now aims for the first local harvest by the end of next year. The government is moving to assure a local supply of the drug by giving out grower contracts for 10,400 kilograms (22,928 pounds) of pot over the next four years. The Federal Institute for Drugs and Medical Devices’ so-called Cannabis Agency will choose between 79 bidders from growers by the end of June. 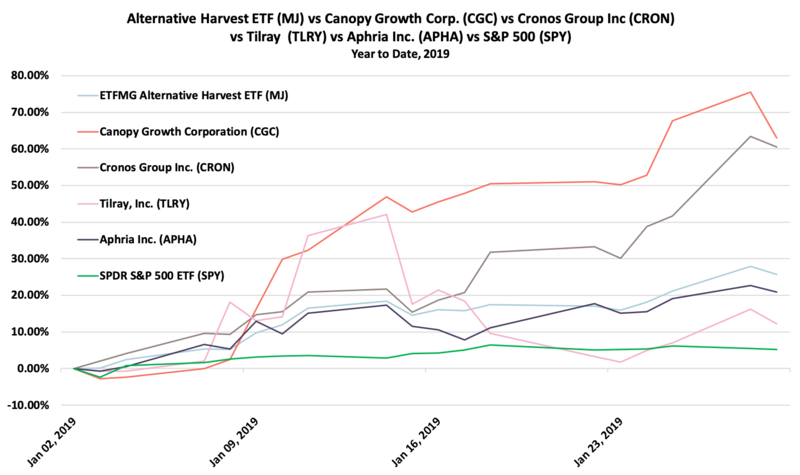 Canopy Growth Corp., the world’s largest cannabis producer by market cap, might be in an even better position than most, since it has begun a European conquest by establishing European subsidiaries, starting with their Spectrum Cannabis subsidiary in Frankfurt. They will also expand across multiple markets by formally setting up shop in the U.K. and Poland. Canopy is partnering with U.K. cannabis research firm Beckley Canopy Therapeutics to make products available in Britain from early this year. The move comes as the U.K. reclassified marijuana in November to be prescribed by doctors for cannabis-based medicines, and country’s first cannabis farm has now been granted planning permission. Poland’s ruling government has legalized medical pot under strict restrictions. Although Germany is an attractive market because of its economic dominance and large consumer base, even smaller European nations, especially those along the Mediterranean coast, are seeing an uptick in interest for their blooming cannabis industries. Greece, for example, legalized cannabis for medical use in 2017 and lifted a ban on growing and producing it in 2018. 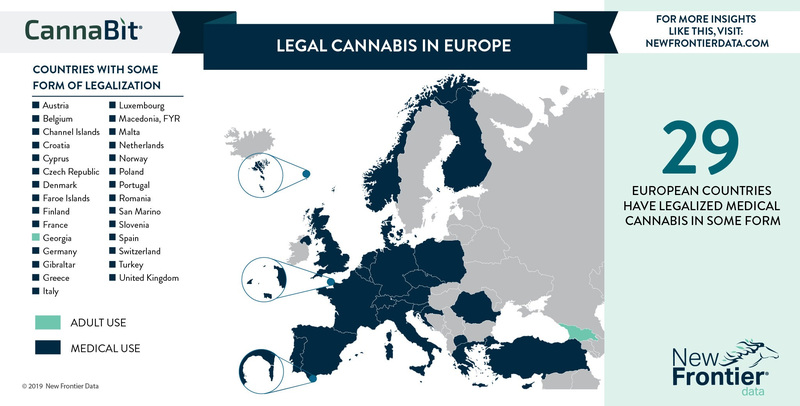 Southern European countries, with plentiful sunshine and mild winters, as well as affordable labor, make an ideal place for cannabis cultivation and are set to become the center of the legal cannabis industry in Europe. When the country begins handing out their first licenses for cannabis cultivation, they will facilitate an initial $212 million in investment, which could reach over $1 billion in the next three years, according to the Greek government. Devcann, a US-based company, is investing $13.7 million to cultivate, process and export medical and industrial cannabis in Greece. Meanwhile, Canada’s Tilray started growing its plants in central Portugal last year. The aforementioned Canopy Growth Corp. plans to spend more than $115 million to expand production across the EU over the next 2 years, including the construction of new growing facilities in Italy, Greece or Spain. The company was also rumored to have been among the bidders for Spanish narcotic raw materials firm Alcaliber SA in 2018. Canadian cannabis firms have jumped out to the lead in the North American, as well as the global market, and have seen their valuations take a rollercoaster ride through most of 2018. Although recreational cannabis was legalized in their home country, the Canadian market remains a small one. Now, in the pursuit of legitimacy, profits, and dominance, these quickly-scaling producers have received huge investments and have begun acquisition sprees of their own to expand production and export capacity. Europe is likely set to be their next big jump. 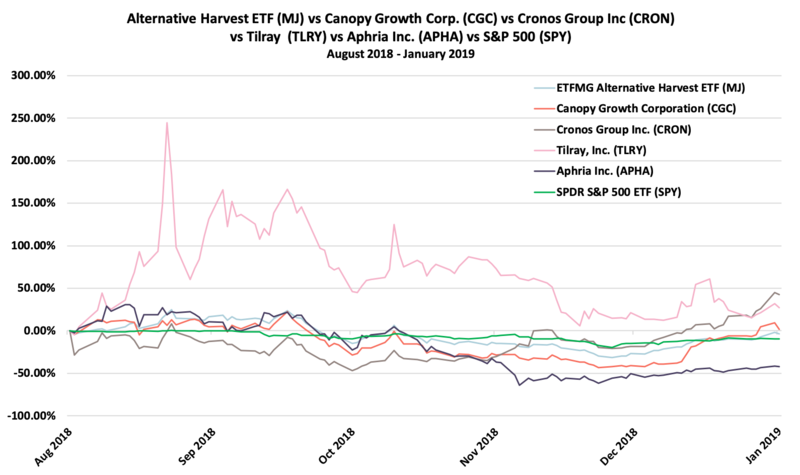 Investors can gain exposure to Cannabis via the Alternative Harvest ETF (MJ), as well as Canopy Growth Corp. (CGC), Cronos Group Inc (CRON), Tilray (TLRY), or Aphria Inc. (APHA). 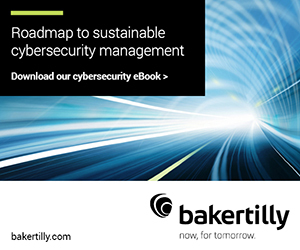 We’ve also summarized the following articles related to this topic in the Services section of today’s report. The partial government shutdown that ended Friday will cost the economy about $3 billion in reduced output in 2019, the nonpartisan Congressional Budget Office said Monday. In a new report on the shutdown’s effects, CBO said the 35-day closure will shave about 0.4 percentage point from the economy’s annual rate of growth in the first quarter of 2019. The agency now projects gross domestic product will rise at a 2.1% annual rate in the first three months of the year, down from the 2.5% pace anticipated before the shutdown, though CBO cautioned the estimates are highly uncertain. The shutdown dampened economic activity mainly because of the roughly 380,000 furloughed workers who weren’t contributing to GDP, as well as the delay in federal spending on goods and services and the reduction in aggregate demand, CBO said. In the years after the financial crisis, small businesses that needed credit were stuck. New capital rules discouraged big banks from touching any borrower perceived as risky. The bond and loan markets, where larger businesses flocked for inexpensive debt capital, have little use for sums under $100,000 — which is what most small enterprises need. A handful of non-bank lenders, payment and e-commerce companies have leapt into the gap. In an environment of easy money and economic expansion, small business lending operations at OnDeck, Kabbage, PayPal, Square and others have grown fast. The question now is whether these new, branchless business models can thrive in a market where credit is tightening and the economy slowing. The interest rates on the loans are high — often the equivalent of a 30-40 per cent annual rate, or higher — and the borrowers tend to have short credit histories. Growth in US home prices continued to ease in November with 20 major markets recording their slowest ascent in nearly four years, according to the latest S&P Corelogic Case-Shiller report. The group’s 20-city composite index rose 4.7 per cent year-on-year when seasonally adjusted, down from 5 per cent in the previous month. It was the index’s weakest growth rate since January 2015. The 10-city composite index rose 4.3 per cent, down from 4.7 per cent. The national home price index registered a 5.2 per cent gain, compared with 5.3 per cent growth in October and marking its smallest annual increase since October 2016. The US housing market was at the heart of the financial crisis that rippled through the global economy a decade ago. Today, emerging cracks in a property recovery are darkening the outlook for housing-related stocks — and possibly further afield. US house prices kept deflating until 2012, but since then they have climbed more than 50 per cent, propelled by a slowly-healing economy, falling unemployment and interest rates at record lows. That buoyed home-builder stocks, with the Dow Jones Home Construction index, a $47bn-in-market-capitalisation benchmark, delivering almost twice the return of the broader US stock market over the five years to 2017. But the bloom came off last year, as the index fell more than 40 per cent from peak to trough. While homebuilder stocks have enjoyed a welcome bounce over the past couple of months, they are still down 32 per cent from the top. Concerns over the sector — and what the deterioration means for the broader US economy — continue to swirl. China’s government reduced growth in real estate loans in to 20 percent in 2018 compared to the previous year, as regulators attempt to stave off a potential property bubble by cracking down on illicit lending and vowing to push funding from property into agriculture, small businesses and other priority areas. Outstanding property loans climbed to RMB 38.7 trillion ($5.72 trillion) by the end of December with the 20 percent growth rate representing an incremental decrease from the 20.9 percent expansion in 2017, according to a quarterly report issued by the People’s Bank of China’s (PBOC). The tapering lending growth follows statements by public officials in which they have committed to promote a “stable and healthy” real estate market, and emphasized that citizens should refrain from making speculative investments in homes. Germany’s leap into homegrown medical marijuana is nothing if not orderly. The government is moving to assure a local supply of the drug by giving out grower contracts for 10,400 kilograms (22,928 pounds) of pot over the next four years. The Federal Institute for Drugs and Medical Devices’s so-called Cannabis Agency will choose between 79 bidders from growers by the end of June, the agency said on Monday. Germany has relied on imports from the Netherlands and Canada since it legalized medical marijuana in March 2017. Now it’s aiming for the first local harvest by the end of next year. Producers and pharmacies will still be allowed to buy from foreign growers, but the tender will ensure a high-quality native supply is also available, said Maik Pommer, a spokesman for the drugs agency. “It’s about ensuring the security of the supply,” Pommer said. He wouldn’t comment on where the main growing regions will be, though the contracts are being given out in 200-kilogram lots to make them accessible for small growers. The location will not be revealed to the public but the UK’s first cannabis farm will soon begin production. The site in the West Country is fully legal and has now been granted planning permission, Somerset Live reports. The £10million operation will see a seven-acre greenhouse used to grow cannabis plants on a huge scale that the UK has never seen before. Sativa Investments, from London, are behind the plan which will use certain compounds of cannabis for medicinal purposes and cannabis oil products. The 300,000 sq/ft unit in Wiltshire could grow almost eight tonnes of the drug per year based on industry standards, the Mirror reported in October. It follows the announcement by Home Secretary, Sajid Javid, that UK doctors will be able to prescribe cannabis-derived medicinal products from November. Europe’s three largest medical cannabis markets could double in size in 2019, making this a “transformative” year for the European market, according to a new report by United Kingdom-based analytics firm Prohibition Partners, launched alongside the Davos World Economic Forum. The European cannabis market’s value skyrocketed last year, with 500 million euros ($560 million) already invested in the market, which was mostly funneled into distribution and cultivation licenses. That could just be the tip of the iceberg, according to the report, as European countries combine to become the world’s largest federally regulated medical cannabis market over the next five years. In the near term, Europe’s three largest medical cannabis markets – Italy, Netherlands and Germany – will see patient counts more than double to a combined 225,000 this year. Over the next decade, “The European Cannabis Report” predicts the total market for medical cannabis could surpass 58 billion euros. While the European Union toils in its “will they-won’t they” drama around Brexit, there’s one thing most of the countries within the union agree on: legal cannabis. Currently, most of Europe has some form of legal cannabis, inlcuding most in the European Union. What’s more, there have been efforts to decriminalize cannabis in some countries, lifting up hefty penalties of the past. 29 European countries have legalized1 medical cannabis in some form. 20 of those have decriminalized possession or consumption of personal doses of cannabis. While Spain and the Netherlands permit personal cannabis use in coffee shops and social consumption clubs, in Europe only Georgia has fully legalized it for adult use. 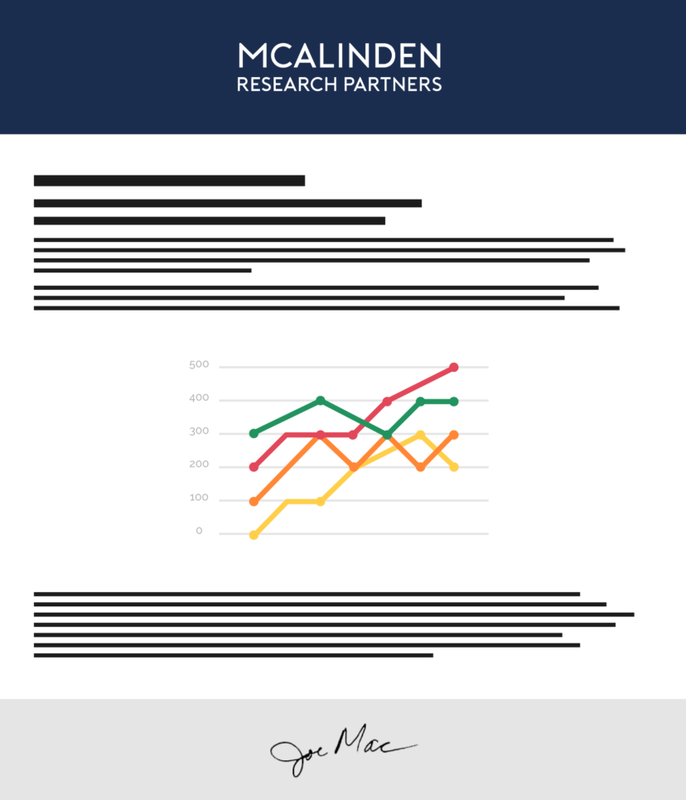 Digi-Capital’s Games Report Q1 2019 tracks the investments and finance rounds of all games companies, and reveals that the total amount raised in 2018 came in at $5.7 billion — more than double the investment of 2017 and setting a new record. Meanwhile, over $22 billion was spent on mergers and acquisitions last year — the second highest annual investment in M&A on record. This was led by Naspers selling 2% of Tencent for $10 billion, and the $2 billion plus stake Tencent and others acquired in Ubisoft. The top five biggest investments account for just over $3 billion of this total, with the largest — Epic Games’ October wave of new stakeholders — accounting for $1.25 billion. Three of the top five — Douyu, Shanda Games and Huya — were Chinese gaming firms, an impressive feat given the struggles of that market last year. In a new study published in Nature Scientific Reports, researchers have done just that. They have built a sheet of nickel with nanoscale pores that make it as strong as titanium but four to five times lighter. The empty space of the pores, and the self-assembly process in which they’re made, make the porous metal akin to a natural material, such as wood.